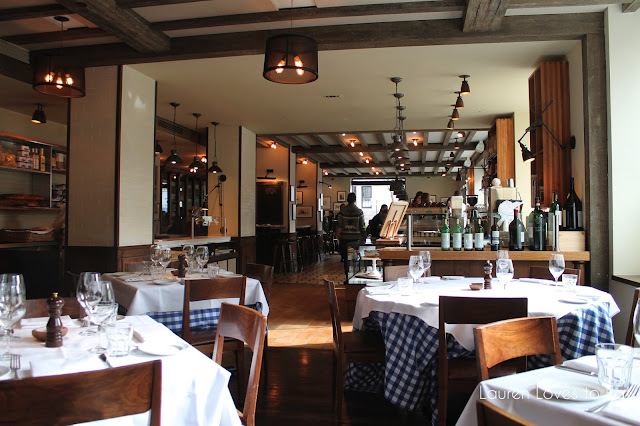 I visited Maialino last year during summer restaurant week and loved it. 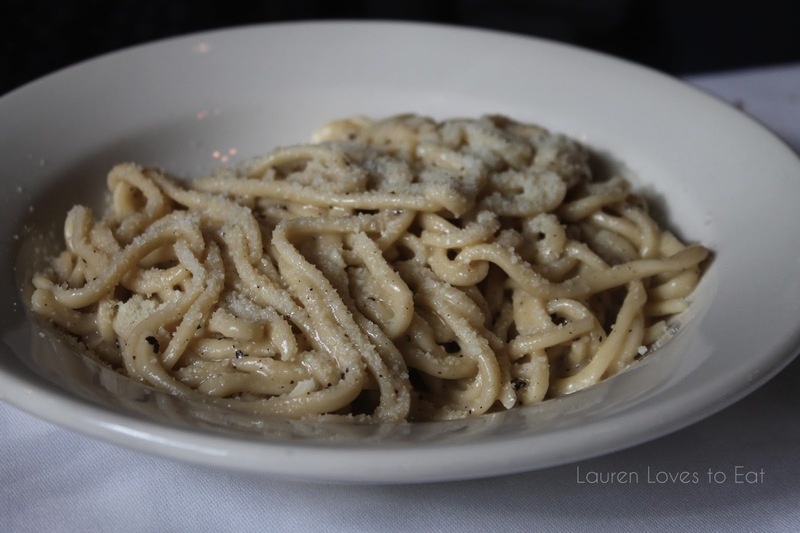 The cacio e pepe easily topped my list of favorite restaurant pastas ever, and although I kept meaning to revisit the place, my ever-growing restaurant list has kept my mouth and belly very busy. 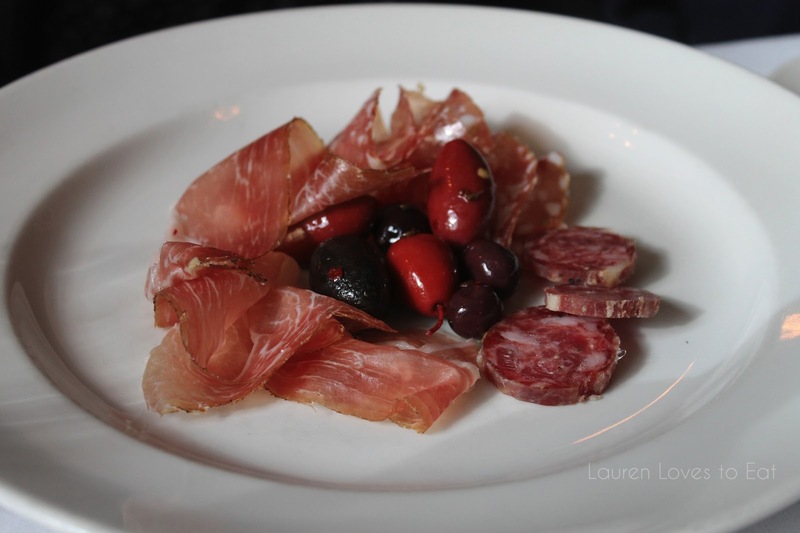 With restaurant week back in session, it was a good excuse to finally return to Maialino. And I'm so glad I did. 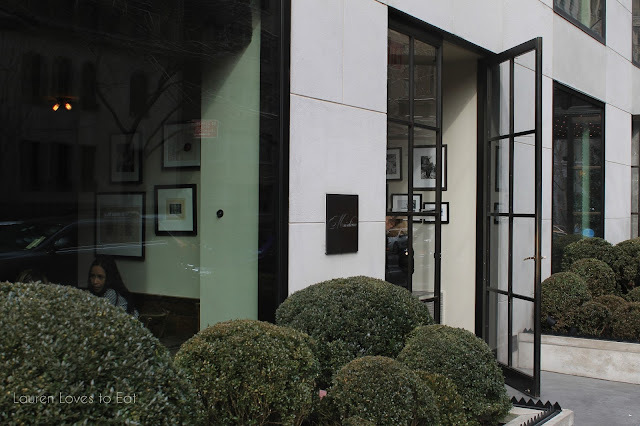 As I mentioned in my previous post on Locanda Verde, the NYC lunch restaurant week menu price is $24 for a 3 course lunch. Maialino offers the regular $24 3 course lunch menu as well as a $35 menu with fancier entrees options such as suckling pig, steak, and lamb. My friend and I went with the $24 menu. Such a steal. The Lexington avenue entrance to the restaurant. 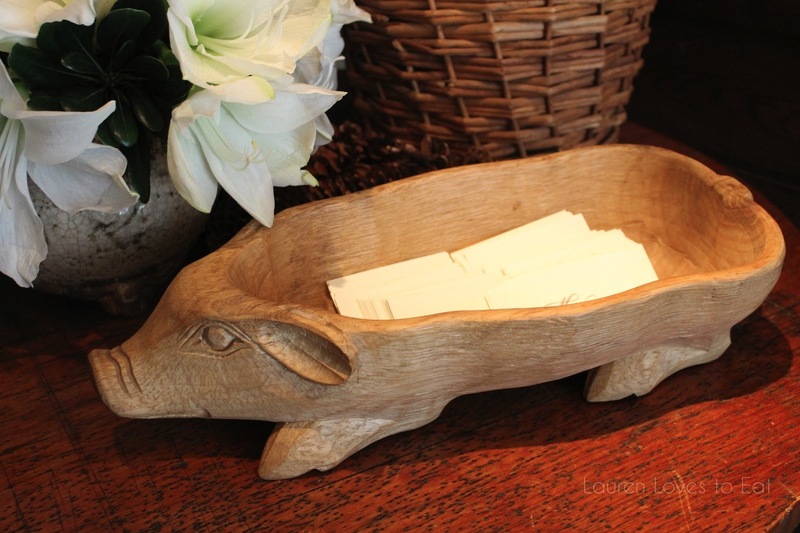 Maialino means "little pig" in Italian, and this wooden mascot holds business cards at the foyer of the restaurant. The beautiful dining room has a laid back yet sophisticated ambience. Focaccia and country bread. 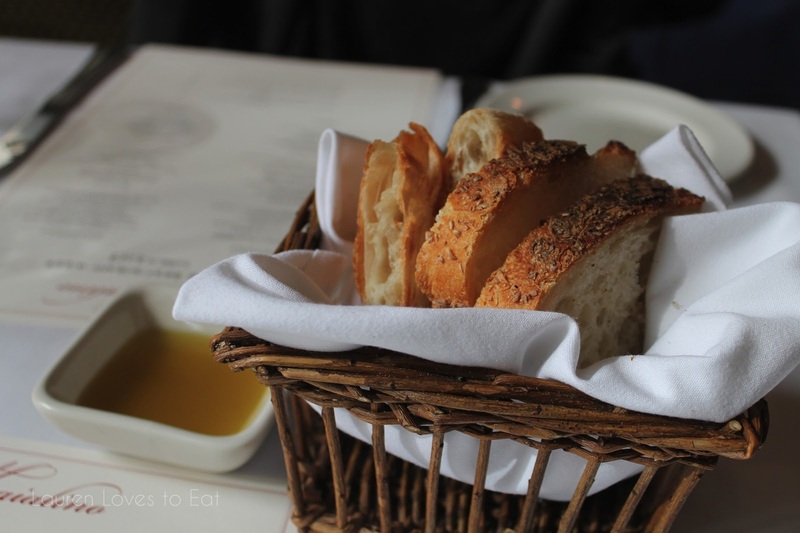 I loved the chewy texture of the focaccia. 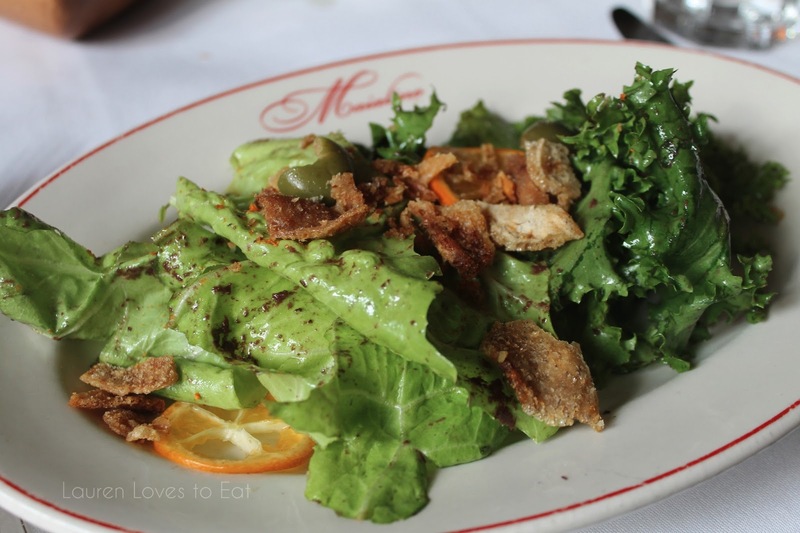 Insalata di Scarola: Escarole, olives, citrus and pork cracklings. This salad was topped with a citrus vinaigrette and really quite sour. I didn't realize I had a cut on my lip until I had a few bites of this salad. Tonnarelli a Cacio e Pepe: Pecorino and black pepper. This pasta was as delicious as I remembered. My friend is generally quite indifferent about food, and she even remarked that it was phenomenal. 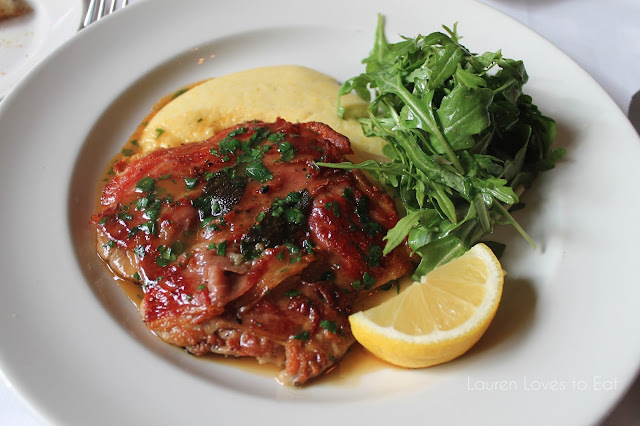 Saltimbocca di Pollo: Chicken leg, sage, prosciutto and polenta. The chicken was flavorful on its own, but with prosciutto layering the top of it? Amazing. The creamy polenta did a terrific job of balancing the saltiness of the meats. Panna Cotta: Chocolate custard and poached pears. 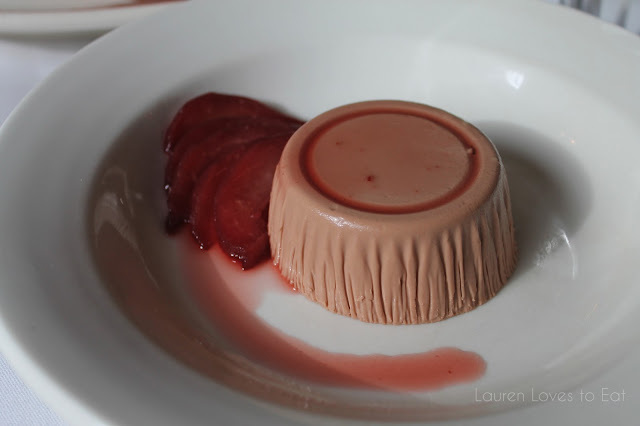 This definitely would not win any prizes for beauty, as it looks like it was flipped out of a foil cup, but it was truly the silkiest panna cotta with just the right amount of sweetness. 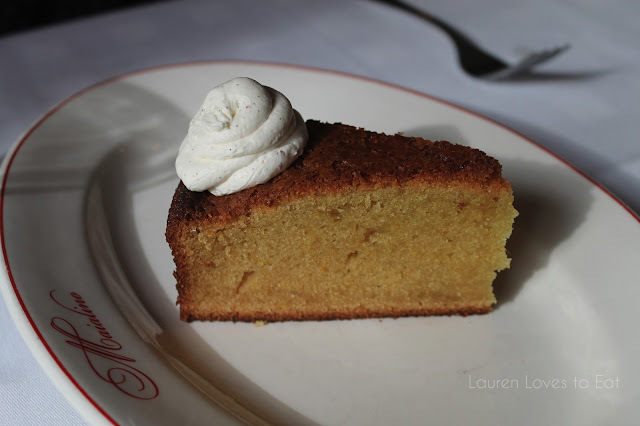 Olive Oil Cake: with vanilla bean mascarpone. This dessert is the most perfect end to a meal-- incredibly moist and not too sweet. Definitely one of my favorite desserts in the City. Hola Lauren.. such a great restaurant.. maybe I'll give it a shot before RW is up. I'm going to Kittichai tonight.. hope it's great. Your pictures are awesome and reviews are very helpful. Yes, goooo! Also, let me know how Kittichai is! I've heard great things about the place.